Last summer I attended RAFT’s two-day “Innovation Institute.” It would take several posts to share with you everything I learned and was able to apply to my classroom. 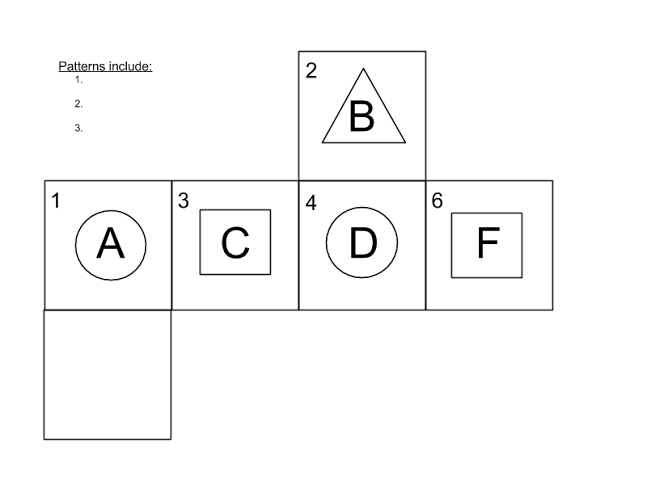 However I would like to share one activity with you this time, and how I adapted this to teach a concept in my class. I teach 8th grade science, and one of the standards we teach is how to use the Periodic Table of Elements and what the patterns are in the periodic table. We know how amazing the science is behind the Periodic Table of Elements. But translating that to 14 year olds and letting them discover how incredible it is that everything we know is made of these few elements that share so many characteristics and all fall into this pattern is no small feat. We teach them about groups and periods, valence electrons, metals and non­metals, and how the characteristics follow a pattern and why. I started simple, using a couple of the simple puzzles given in the idea sheet to get them used to the process and how to use the boxes. I made boxes out of the large sheets of poster board paper ($0.25 each! I only needed two) and used post­it notes to put the pattern parts on the boxes. This way I can use the boxes several times and I can keep the Post­-its for use in future years. 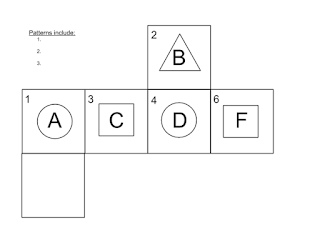 To start, I give students their first box, ­ the first one shown on the idea sheet using A­F, 1­6, and circles, triangles, and squares. I gave this puzzle one day during the beginning of class a few days before I began teaching the Periodic Table. The intention here was to have them start to recognize patterns and be able to identify the missing element based on the patterns. The next day I gave them the example with the men’s and women’s names. This one was a little trickier, but with the scaffolding of the first one, they were able to work together in their group to deduce the pattern. With this one, I took into consideration my population of students, which is 98% Hispanic, and based on their culture and names, decided to have “Rob” be the missing panel. This helped, as names such as “Francene” and “Albert” are not that common in their world. Then we started to learn the patterns of the periodic table. I taught them about periods, groups, valence electrons, electron clouds, and metals/non­metals/metalloids. 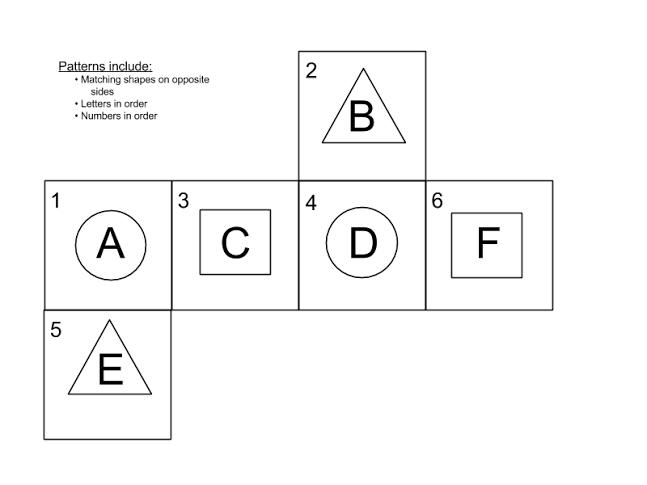 During this time I gave them two more puzzles with the boxes to build on their practice with recognizing patterns in this way. Next came the Periodic Table puzzle boxes! 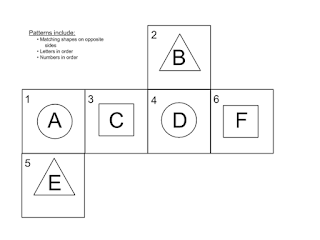 I developed the following puzzles for students to work together to determine the pattern and be able to use that pattern to figure out the information on the missing panel. There is a few purposes to this activity. 1­ To have students collaborate on critical thinking and problem solving ­ a Common Core Skill Set that is very important in their development. 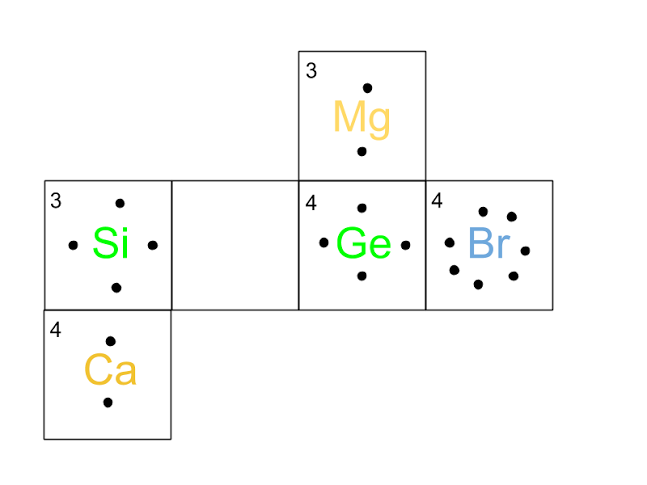 2.­ To drive home the content they had been learning of the patterns of the Periodic Table. 3.­ To check for understanding and help to dispel misconceptions. 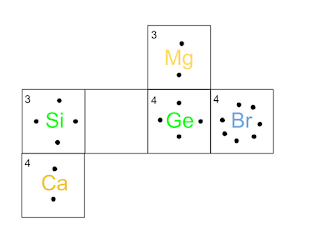 I found this activity to be very successful throughout the entire unit of the “Patterns of the Periodic Table of Elements.” From the beginning where they were discovering patterns, to the end where they were solving complex puzzles with detailed information of the elements and the characteristics they share based on their atomic properties and how that relates to their location on the Periodic Table. It came full circle and nicely tied everything together.